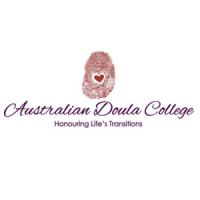 The Australian Doula College (ADC) is an integrated organisation working in collaboration with Preparing the Way, providing education, support and continuity of care for Birth and End of Life Doulas and anyone needing support through any one of life’s many transitions. Through our network of qualified and experienced educators, doulas and other practitioners, we can offer a variety of services, training and information programs and support. At the ADC we believe that the first and last breath are the biggest life transitions you make and that you and those around you deserve to understand your choices and feel supported, ensuring you and your family has the best experience possible. We provided up to date information in a relaxed and caring environment over several teaching spaces around the Country, offering a broad range of groups, classes and sessions. We also can offer some sessions, support and treatments in your home or office, if you would prefer. We want to share our experience with you so that you can be better equipped to make informed decisions that are right for you and your family. At the ADC we take a holistic approach to life’s transitions, believing if you have a better understanding of your options and ‘what to expect’ you can have a more positive experience. We will support and empower you on your journey, however that journey unfolds for you. Renee Adair is the founder and principal educator of the Australian Doula College, The Groundwork Program and our charity-arm Doula Heart Network. She first began working with women and babies in 1994 as a massage and Aromatherapist and Reiki Practitioner and in 1998 began studying and working as a Doula, Childbirth and Early Parenting Educator and Birth Counsellor. For three and half years Renee then worked for the Australian Red Cross at their young women’s health program/refuge and set up both the outreach and childbirth and early parenting education programs for that service. Renee has spoken on a variety of Radio programmes on the subject of both birth and end of life Doula support. She also presents at conferences and seminars and is currently sitting on the Consumer Advisory Board of the Australian College of Midwives. Renee has been a regular contributor in pregnancy and parenting publications and websites over the years and under the ADC banner created the first and only Doula research in Australia which was published in the Journal of Perinatal Education. In her career she has supported hundreds of women, their partners and families through pregnancy, birth and the early parenting phase. In recent years Renee has moved to change the way we think about Doula support and helped launch Preparing the Way – End of Life Doula Training, in collaboration with its founder Helen Callanan which has created the space for the wider community to see Doulas as a support though both the first and last breath and any one of many lifes transitions in between. Renee has trained thousands of doulas since 2004 and continues to doula for both birth, post natal and end of life. Renee lives happily on the south coast of New South Wales with her beloved family and pets. 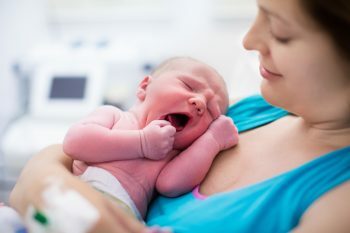 Vaginal Birth After Caesarean (VBAC), Choices, challenges and truths. What is a Doula and what are the benefits of hiring one?